Do you sometimes feel that you are lacking behind the energy? Are you feeling nervous at some point of time? Do you sometimes feel a lot of anxiety and stress in the daily life? Is your skin getting aged day by day? If these questions are annoying you, there is nothing to worry at all. By just maintaining a healthy lifestyle, we can easily overcome all of these issues that contribute towards better health and fitness. Herbs are one of the most popular methods to get rid of stress, poor energy, fatigue and weight gain. This essential herb reduces the effects of stress and overloaded work, giving a boost to the mental clarity and cognition. While correcting the immunity in the body, it helps to enhance the memory of the brain. It also fights against the brain cell deterioration. This herb is very effective at resolving the issues related to cough and cold. They also enhance the power of the brain. By thinning the blood of the human body, it ensures proper blood flow so that your body can stay active and free of different types of diseases. Both of these herbs are essential for taking care of the skin. Both can be used as face packs, and masks to clear out pimples, acnes and other skin issues. We can apply them on any part of the skin. They are free of ill effects. The next herb is the harad, which are useful to correct many digestion and stomach problems, like constipation, bloating and much more. Used as a hair loss preventing agent, it has been in the trend for many years. By preparing mixtures or shampoos at home, along with the Amla with the Reetha, we can stay away from hair loss. It adds a natural shine to the hair. Other herbs like mustard seeds, lotus seeds and helicteres isora can also be added to your daily lifestyle, maintaining a healthiness and uniqueness to your living. One can use them by adding in the preparation of foods, drinks and much more. 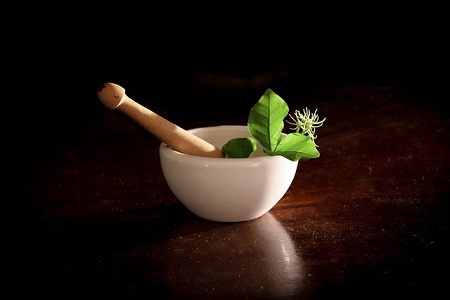 Some herbs are used in the form of mixtures, pastes or watery solutions. They overall help in the prevention of many diseases related to the skin, hair and the whole body.